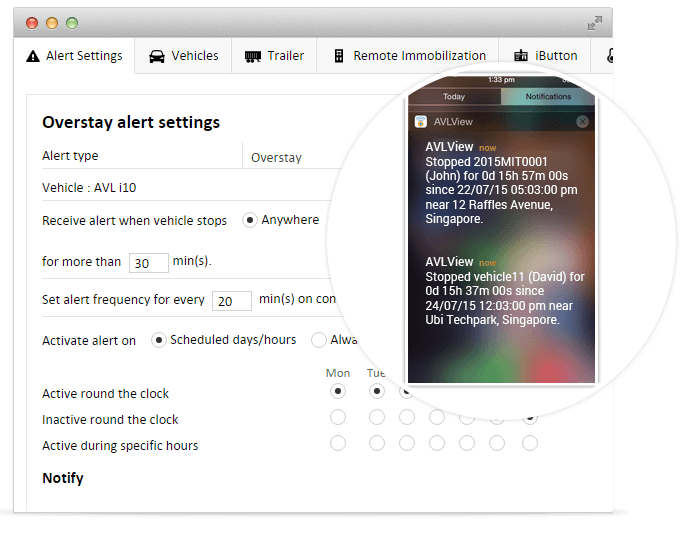 Set vehicle tracking alerts, and be on top of things..
At AVLView, we understand the anxieties/worries that come with your fleet operations. This is why we introduced notifications feature to alert you immediately on unforeseen events that require your attention. Whether it’s a schedule failure, theft attempt or route deviation, you can rest easy and focus on your business, the system prompts you what you can act upon – the exceptions. To find out how vehicle tracking alerts helps with unforeseen events that require your attention. Hardest part about managing your business with drivers on road is ensuring if they get where they need to be on time, without deviating from the course going far off for personal needs. Restrict unauthorized use of vehicles, by creating territorial fence, a geo-fence you can set up in seconds, and curb down time and fuel wastage. Create rectangular, circular or polygonal fences. Assign multiple vehicles to a fence. 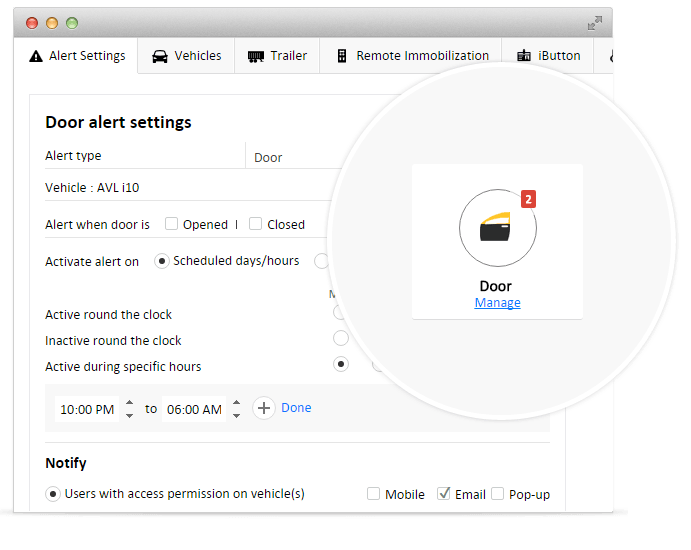 Set alerts to be triggered when a vehicle enters or/and exits a territory. 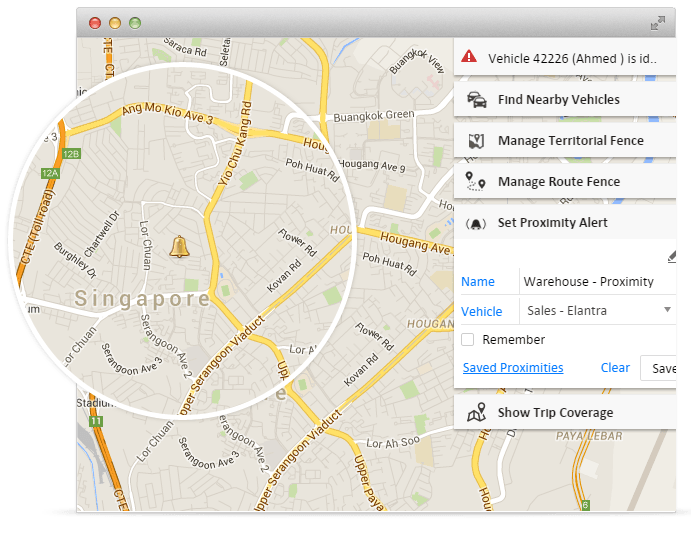 Set vehicle tracking alerts based on time. Route fence feature allows you to assign a vehicle to pass through a specific route. You may set an alert so that you get notified if the vehicle deviates from the pre-planned route. This feature helps you gain complete control on daily trip schedule. You can rest easy knowing that your drivers take the pre-approved routes. Create route fence from historical data. 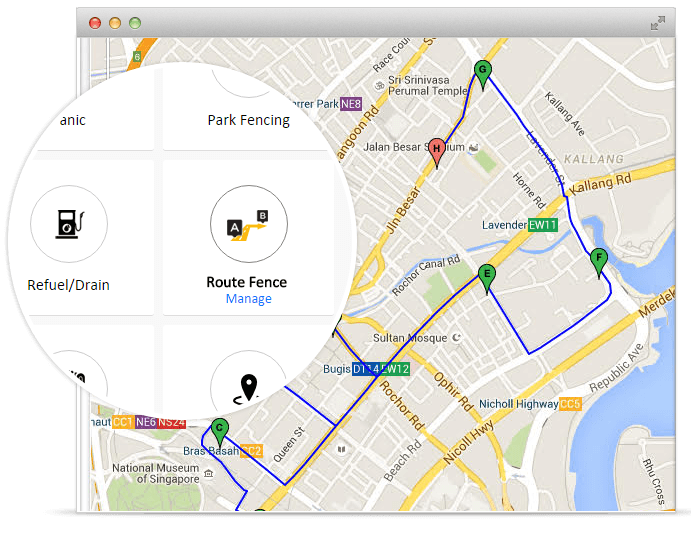 Create route fences with waypoints included. 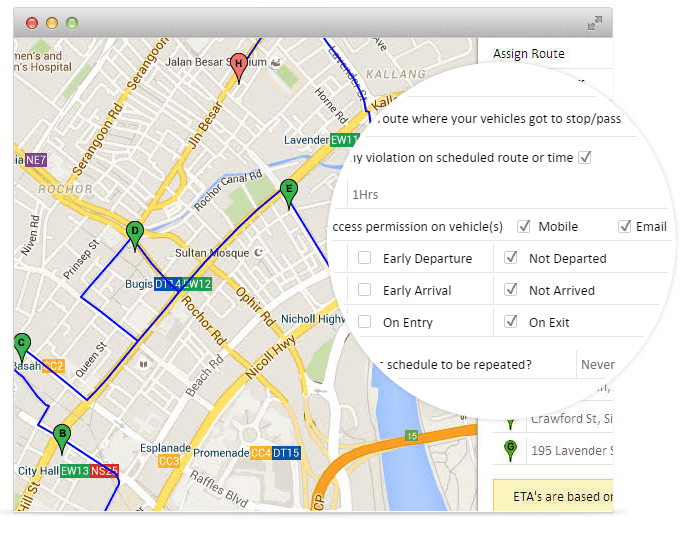 Add route fence to pre-scheduled trips. Set alerts to be triggered when the vehicle enters/exits a pre-approved route. Plot all your business points/landmarks on map as Points of Interest (PoI). Such as warehouses, distribution centers, your clients’ offices, shipment delivery points, bus stops, student pick up/drop off points, service centers, labour camps, or whatever they are. If the Point of Interest(PoI) is larger in size, you may save it as a zone. Create spot fences from vehicle’s trip history. 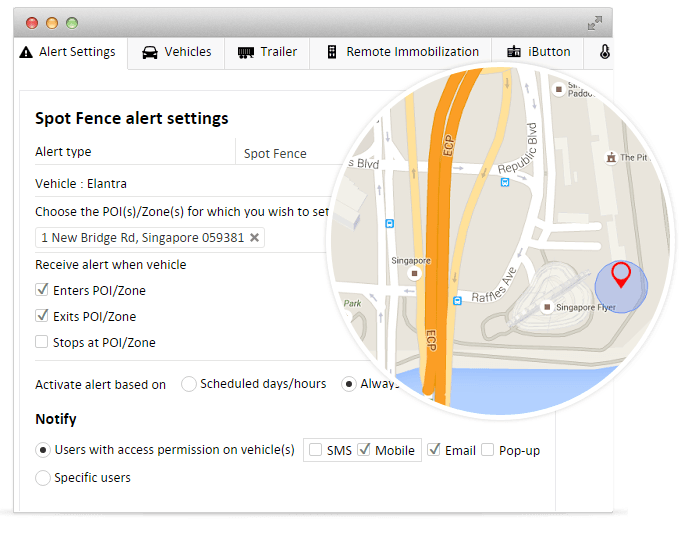 You may create/activate instant spot fence on your mobile too. Assign spot fences to waypoints en-route. Set vehicle tracking alerts on entry/exit or stoppage at PoI’s. Every year, thousands of vehicles are stolen; from parking facilities in apartments, utility stores, garages and so on. Fact is, you would never know what’s happening with your parked vehicle till you are back at it again. What if, an automated surveillance fence is formed around your vehicle once it’s parked for 10 minutes. That’s park fence; if the car moves beyond this virtual fence, you receive instant alert. 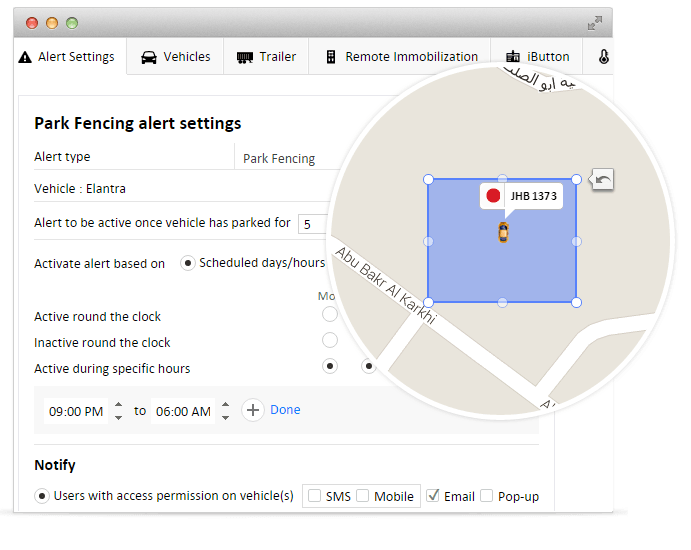 Park fence alerts are sent when your vehicle’s engine is switched on and moved out from the automated fence you set. 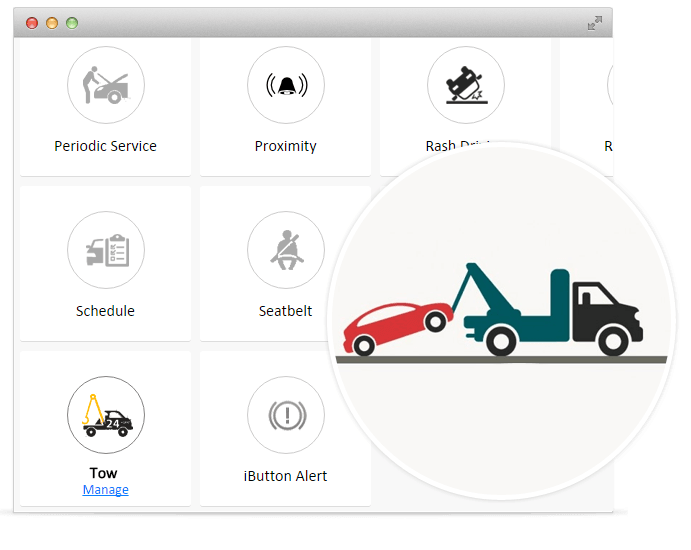 What if your vehicle is being towed away? You clearly wouldn’t be aware of and that’s what tow alert is for, get notified immediately by Mobile, Email and/or Pop-up on your screen. This feature rich vehicle tracking system sends you an alert when your vehicle(s) get near/approach a point you created on map. You may create waypoints on map to get notifications when vehicle reaches that point, but proximity alerts are a step ahead and notifies when vehicle approaches (about to reach) waypoints or points of interest from any route. Your company’s fleet costs are sure to increase if your trucks idles en-route, as the running motor burns fuel for no reason. And with the volatile fuel costs, you definitely do not want to be wasting your money on more fuel than is necessary. Not only does idling burn fuel, but leaving the motor running while in parking state can cause engine wear & tear too. Vehicle maintenance expenses can add up in no time and tackling down more maintenance costs coz of unnecessary idling will add upto be an extra challenge. With idling alert, you receive notifications whenever there’s an idling instance, so you could control such happenings in future. When a vehicle’s ignition is switched on in the middle of the night and you realize that there are no trips scheduled at this time, something is fishy. Vehicle accidents may not sound something new to fleet owners. Havocs caused disrupts your entire business; loss of human lives, cancelled/delayed deliveries, unsatisfied client, interrupted schedules etc. 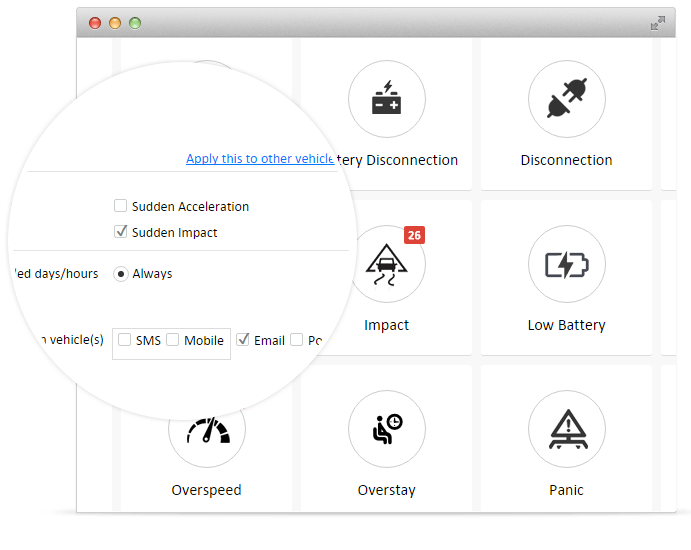 Unless, you have a GPS vehicle tracking system which would notify you the next moment as soon as there has been a collision or sudden impact. 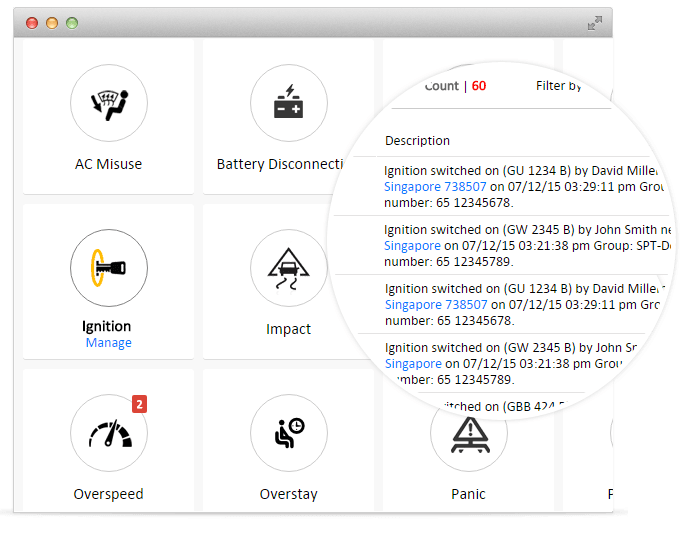 Configure impact alerts to be sent to one or more people at a time and get things eased out as fast as you can. Who knows what you could save, may be a human life or the reputation you built through years of hard work. Reckless & aggressive driving contributes to more than 80% of the motor accidents. Your drivers/staffs are your representatives, road accidents they are involved while on duty add upto your responsibilities to the public. Speeding tickets, accidents, sudden breakdowns – stories never end, so do your worries. You know the value of time for your clients, but scheduling & delivering on time may not be the priorities on your driver’s’ mind. 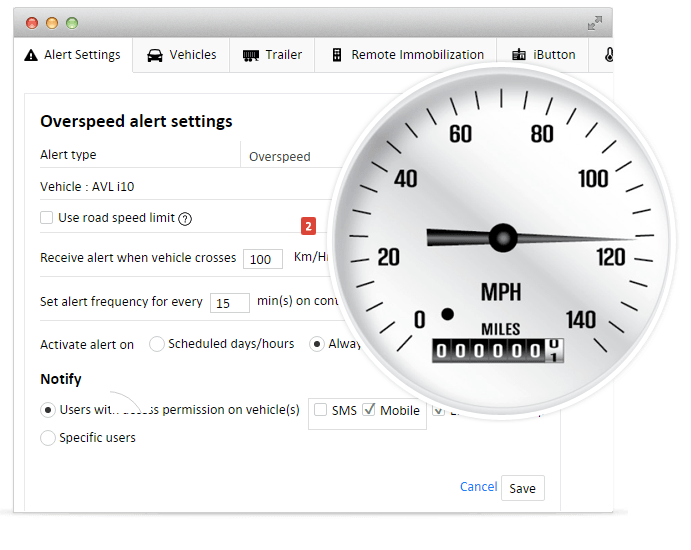 Receive immediate notifications if your driver stops for longer than a specified time period. Control excessive stopping and avoid late deliveries. End of the day, your success lies in delivering things on time and winning repeat contracts. Jackrabbit starts and irresponsible reckless driving habits cost you more fuel & money than you may realize. Rash driving causes vehicle brakes to overheat, reducing lifespan, resulting in wear & tear of brake pads, costing you more than what it’s meant to. Rather than relying on last-moment sudden brakes to avoid a collision, your drivers should focus more on the traffic crowd, anticipating the possible changes on the road lying ahead. As a fleet owner, cost & consumption of fuel is always a concern, and fuel savings continue to be fundamentally important in running a successful fleet operation. 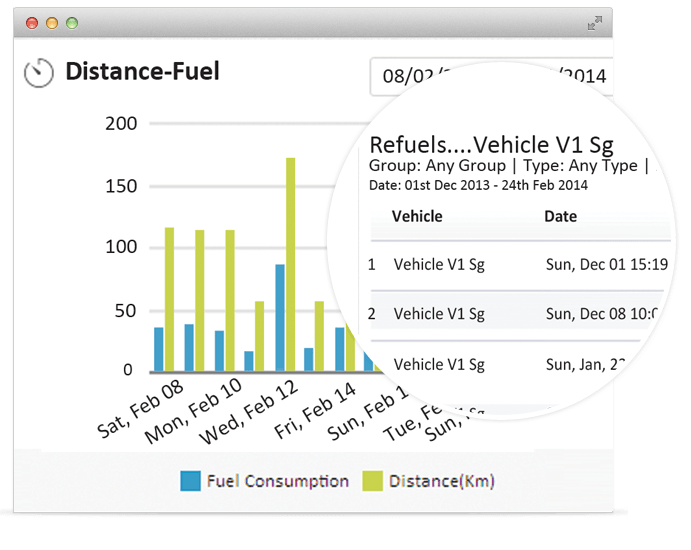 AVLView GPS vehicle tracking system is integrated with high quality digital fuel sensor rods that offer upto 95%* accuracy in fuel reports; moreover you will get notification alerts by SMS/Mobile Notification, Email or/and popup. 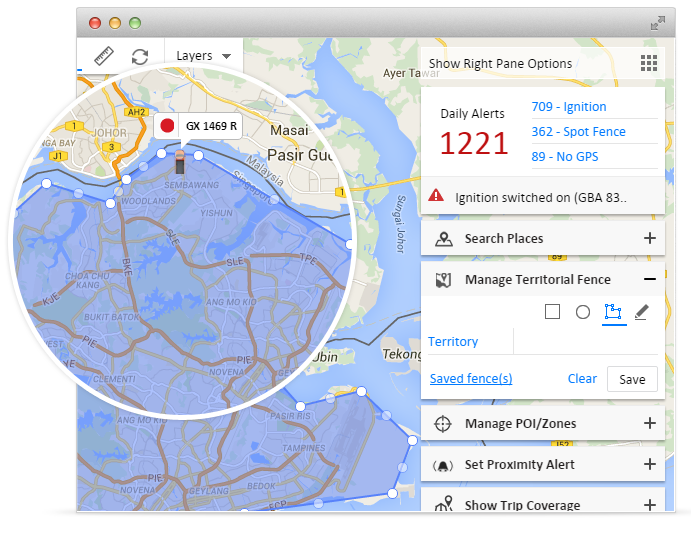 Multiple reasons could keep you aside from receiving timely updates from a GPS tracking device. And these are not something to be ignored, but taken care of immediately. A low battery or battery disconnection alert may indicate your battery health or may be something bigger; who knows, there is the slightest possibility of even a battery theft. 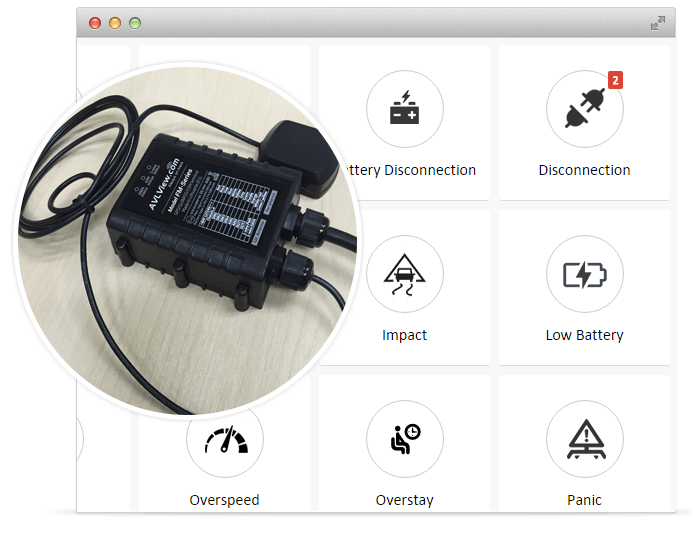 Over usage or misuse of AC results in increased fuel consumption; GPS vehicle tracking devices connected to your Aircon (AC) sensors trigger alerts when AC is switched on or off. AC misuse event is recorded the moment your drivers turn Aircon in an idled vehicle. It’s always going to be a temptation for drivers to use company delivery vehicles for unauthorized usage like going to get groceries, dropping a friend off at work or even moonlighting to transfer shipments. If you aren’t very keen on them doing this, you need a system that has measures that prevent this from happening. 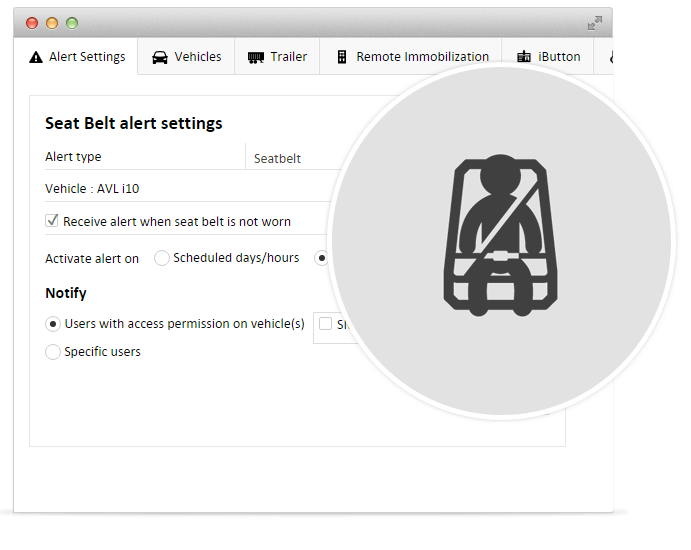 The system allows you to get notifications for when drivers start a vehicle with/without authorization, or if they open the door of a vehicle when they aren’t supposed to do so. 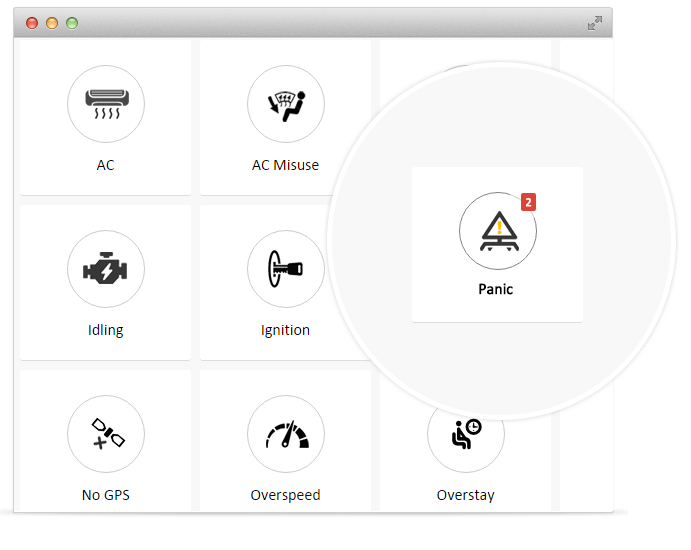 Be it for the safety of your staff or assets, fitting a panic buzzer (SOS buzzer) on vehicle dashboard could be extremely useful. As soon as something goes wrong with the vehicle or driver, this buzzer can be pressed which triggers an immediate notification to you by all means (SMS/Mobile Notification, Email & On-screen Popup). Driver safety is the single most pressing problem in commercial fleet management. Accidents are an unfortunate part of fleet operation that keep on happening despite the basic safety policies you implement. However, using GPS vehicle tracking system with added safety measures help prevent accidents before they occur. Whether or not a driver regularly wears a seat belt reflects on his/her driving behaviour and commitment to safety. Unarguably, wearing seat belts dramatically reduce the chances of death or serious injury if there is an accident. 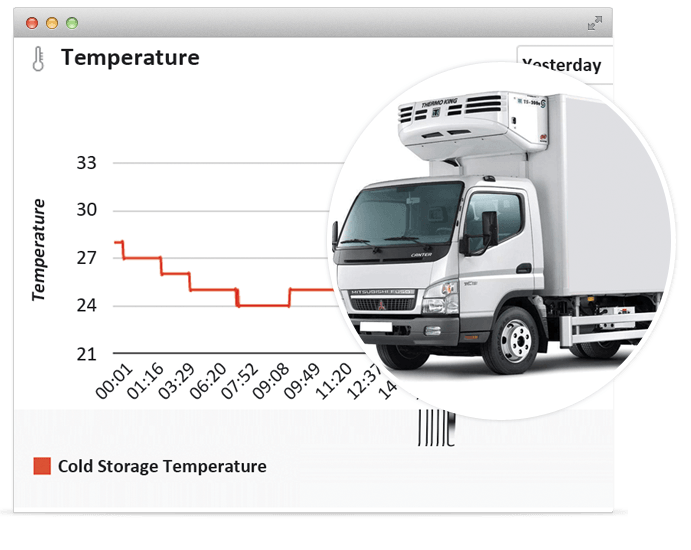 If your core business belong to Supply Chain/FMCG industry that carry valuable and easily perishable goods, you know how important is monitoring temperature levels of fridges/freezers or so called reefers fitted with your trucks. A slight variation in temperature level can melt your desserts, spoil frozen meat and why not, even cause a huge damage to your profit margin. AVLView vehicle tracking system lets you manage your FMCG trucks with ease, providing you real time information on temperature status along with exact location. 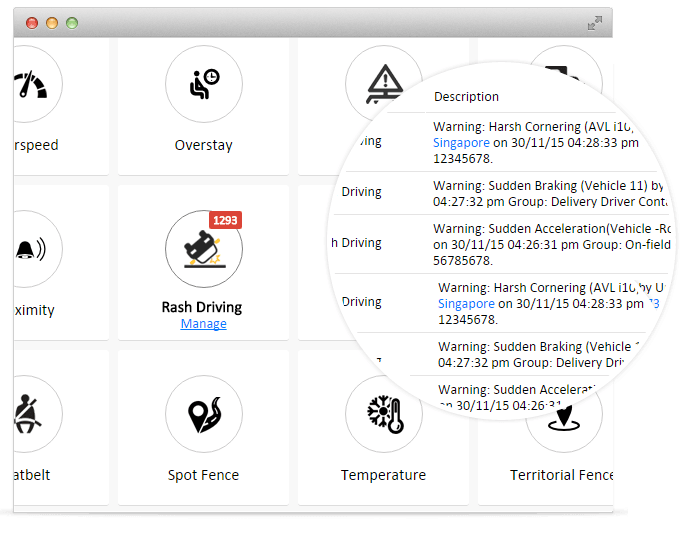 Rash driving alerts help you identify vehicles that goes through reckless & irresponsible driving practices. But to clean up the mess, you need to know who’s driving which vehicle. And, if drivers are assigned to vehicles randomly every now & then, that would lead to an incomplete analysis on driver performance. 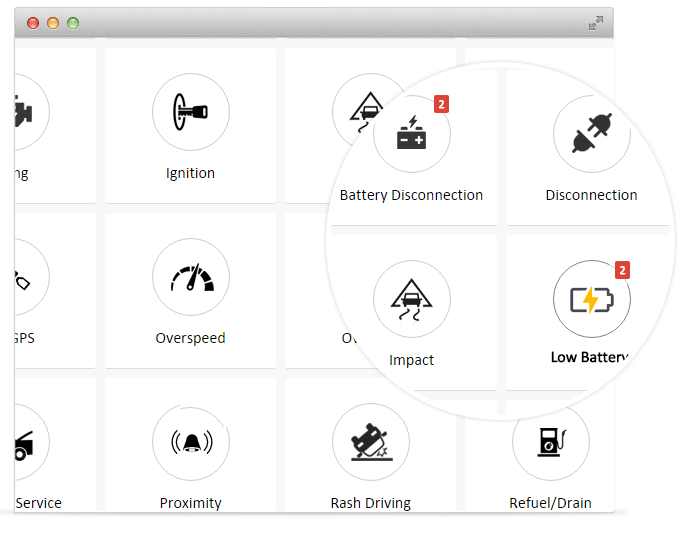 AVLView is a telematics company focused on helping vehicle owners automate their everyday fleet operational tasks. 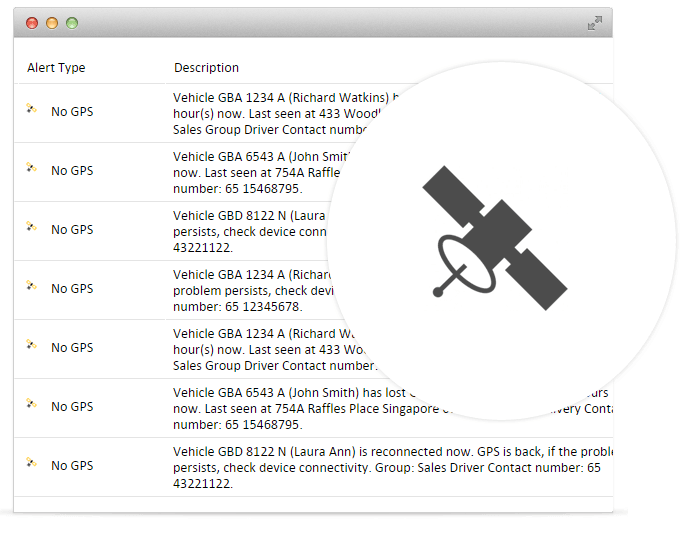 If your GPS tracking system doesn't live up to, then consider upgrading to AVLView fleet automation cloud software. Your are only ONE step away from scheduling your FREE 45-min session! This form collects your name, email address, and phone so that we can send you updates on our services. I consent to having AVLView.com collect my Name, Email and Phone Number. lock No worries here! We will never share your information.